So, as you can see from the state of the boy in the photo above, it was an insanely hot day when we visited. 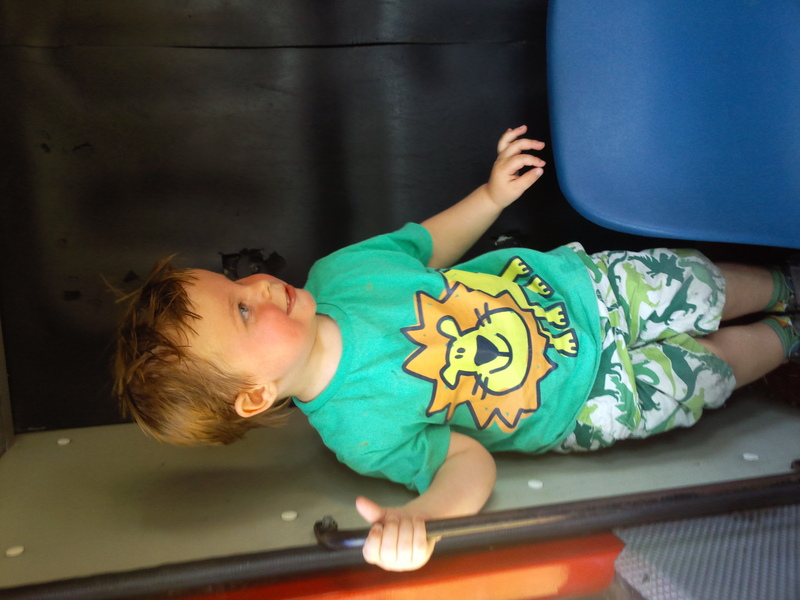 And don’t be misled by his t-shirt and shorts – there are neither lions nor dinosaurs in this zoo. 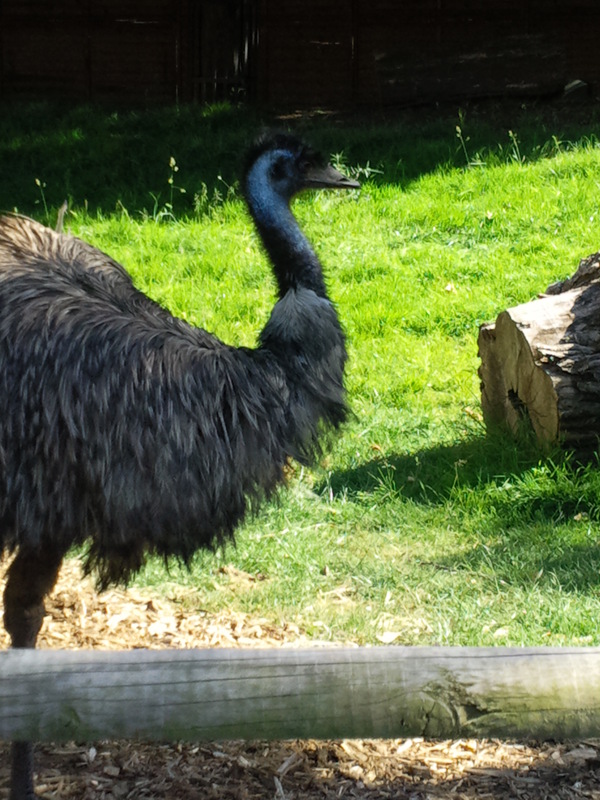 But what they did have were monkeys, lemurs, emus and meerkats. Which was clearly the most exciting of all. We had to fight several posh children to get to it and especially the prime fireman’s-hat-wearing position behind the steering wheel but my precious boy kicked and punched those Annabellas into submission like the estate boy he is. Or something like that happened….I don’t remember. It was so very hot. So, Reuben and Luke largely ignored the animals (except the otter, who I told Roo was “like Shellington from Octonauts”. That got his attention) and played in the play areas and the fire engine. They have some little diggers you can sit on in their own sandpit, which looked ace but a bit complicated for a 2 year old. There was also a tunnel you could crawl down into the meercat enclosure, which was just complicated enough for a 2 year old. Roo loved it, even if he didn’t get my subtle meerkat jokes. VERDICT: Definitely worth it. Admission is £6.00 for over 2s and free for under 2s so I feel a little cheated taking him there this side of his birthday. But that’s just me. It is very lovely and very well equipped so maybe just man up and pay it. Or lie about their age. This entry was posted in Food in cages! Walking around! Or maybe some alpacas! (Farms and zoos) and tagged animals, fire engines, meerkats, monkeys, nature (really?! ), nee naw!, sandpits, South London, zoos. Bookmark the permalink. Ha! Is it wrong to laugh so much at the thought of Annabellas being kicked and punched?